Slickplan is excited to bring you a new feature set for sitemap design. We have listened carefully to you, our valued customers, and implemented the items you want and need to make your jobs easier as you bring your sites to life. 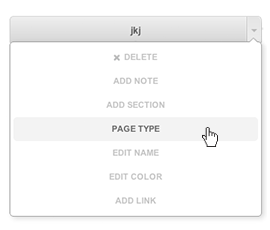 Let’s start with the new page type or archetypes feature. An archetype is a statement, or pattern of behavior, a prototype upon which others are copied, patterned, or emulated. With Slickplan page types, we’ve added the ability to show purpose icons, specific colors, and descriptions for each page in your site map. This feature is a great way for site map designers to help their customers understand the structure and purpose of the pages in their site. 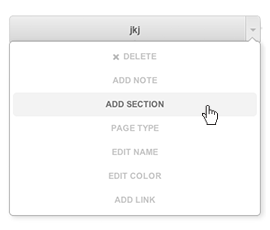 The second main feature we have added is the ability to now break the sitemap into designated sections. The goal is to take away the hassle of handling massive sites that need simplified by placing large parent/child pages into their own section, which can be expanded as needed. This helps you to focus on specific sections one at a time, and manage a large sitemap with ease. At Slickplan we’re very excited that our customers are helping us to grow, and we urge you all to let us know your ideas for ways we can continue to improve this groundbreaking service.